I am proud to serve our patients by providing patient-focused quality care. In 2018, Dr. Jianping Lin joined Cancer Treatment Centers of America® (CTCA), Chicago, as a Pathologist. 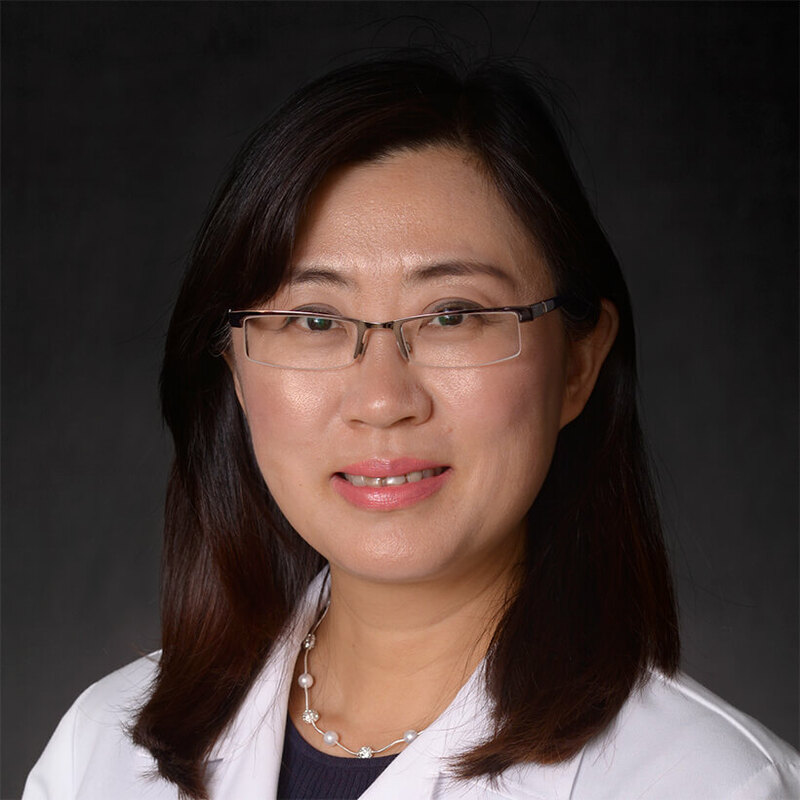 Board certified in anatomic pathology and clinical pathology, Dr. Lin is dedicated to advancing the diagnosis of cancer and helping each CTCA® patient’s oncologist recommend comprehensive and individualized cancer treatments. Dr. Lin works with the laboratory team at the Chicago hospital to complete and review laboratory tests. These tests help the care team diagnose and stage cancer, plan treatments, monitor the disease, review treatment progress and evaluate patient health. Dr. Lin received a medical degree from the Norman Bethune Medical School, Jilin University in Changchun, China. Following medical school, she went on to receive her PhD from the same university. Dr. Lin then moved to the United States and completed a pathology residency at the University of Drexel in Philadelphia, Pennsylvania. She completed a fellowship in hematopathology at the University of Nebraska Medical Center in Omaha, Nebraska. Through ongoing education and training, Dr. Lin stays up to date on new technologies and advanced diagnostic options. She has held academic positions, published several research papers and made a number of presentations on her research. Dr. Lin is a member of several professional organizations, including the American Society of Hematology, American Society for Clinical Pathology and United States and Canadian Academy of Pathology. In addition to her work, Dr. Lin is passionate about swimming, hiking and gardening. She also enjoys spending time with her family.